Admission process for oncology department. Admitted at oncology day care ward. 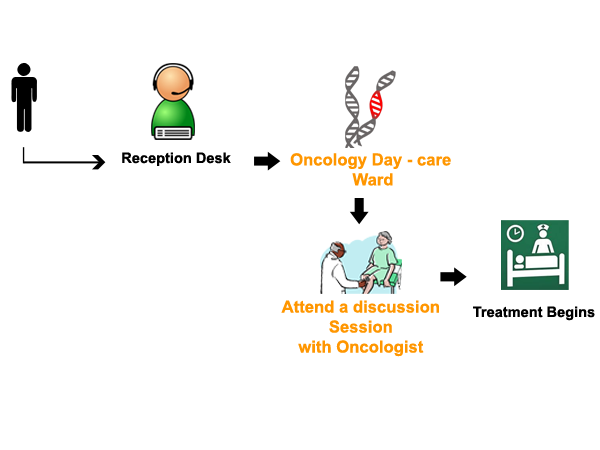 Attend a discussion session with oncologist.